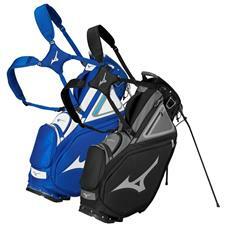 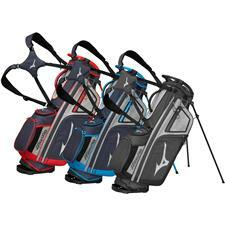 Carry and maintain your valuable golf clubs with one of the most trusted manufacturers, Mizuno. 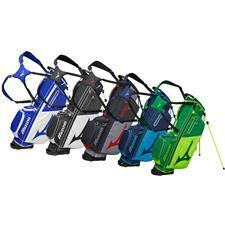 Their stand and cart bags feature sporty exteriors paired with a generous array of features that every golfer will find useful. 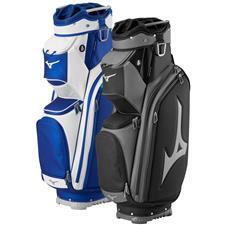 Mizuno golf bags are expertly designed to healthily reduce weight on your back and limbs, as well as offer adjustable dividers and pockets for all of your essentials. 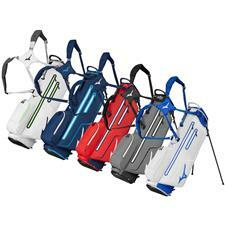 Come rain or sunshine, these waterproof carriers will shield your clubs and make your time on the golf course more enjoyable. 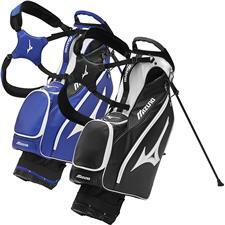 With a tagline that reads 'Never Settle', Mizuno continues to produce groundbreaking cart and stand bags that emphasize physical health, durability and practicality. 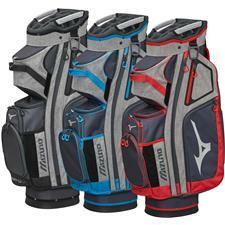 With moisture-resistant exteriors and designs that limit the weight that is put on your body, Mizuno golf bags also focus on small, useful details like pockets for water bottles and robust internal padding. 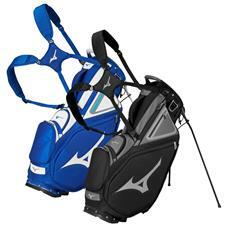 Don't use an inferior bag to lug your equipment from one hole to the next; order a Mizuno golf bag from Golfballs.com to experience innovative ease-of-use.